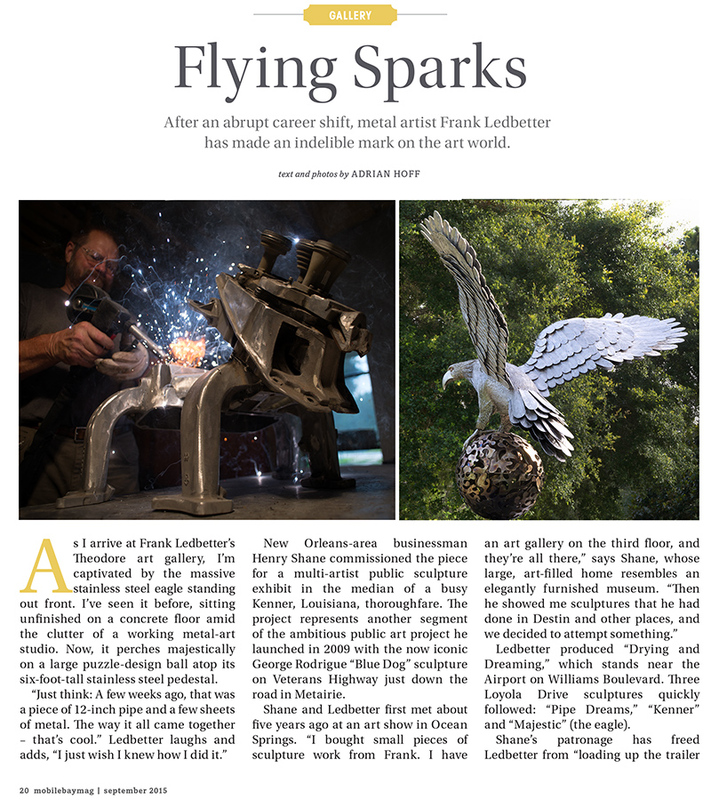 Mobile Alabama writer and photographer Adrian Hoff's "Flying Sparks" article profiling Sculptor Frank Ledbetter: Published in PMT Publishing's Mobile Bay Magazine, September 2015.
has made an indelible mark on the art world. Text and photos by Adrian Hoff. 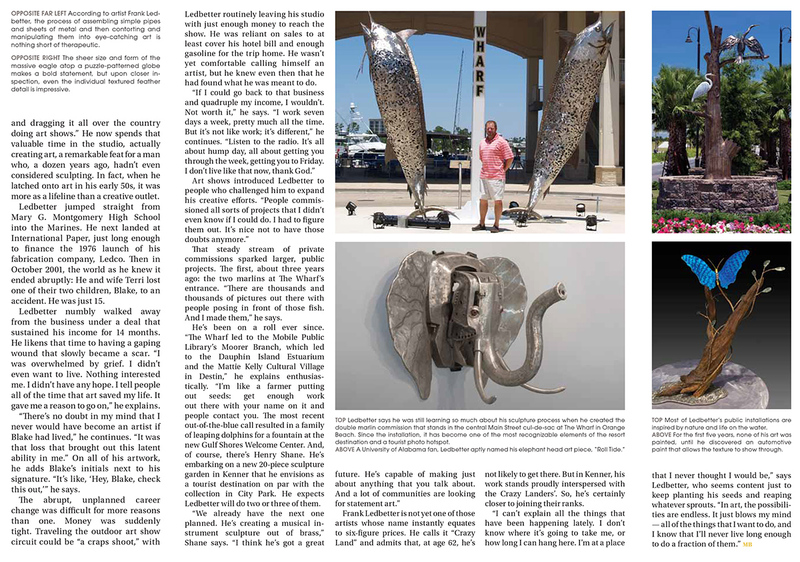 Mobile Bay magazine, September 2015.